A mouse with no buttons – does it work? The Xebec Tech M-touch Mouse isn't your average peripheral, but more of a hybrid of a traditional mouse and the multi-touch track pads you find on laptops. It's certainly an ambitious device, although it doesn't quite pull it off. The top of the mouse is completely flat. There are no buttons, but if you click the top right side you get a right mouse click, and the top left provides a left mouse click. Instead of a middle scroll wheel you drag your finger up and down the surface. When we tried this, it exposed a flaw – it can be difficult to drag your finger across the surface without moving the mouse as well. Using the scroll wheel – and the two buttons, for that matter – on standard mice is so much easier. 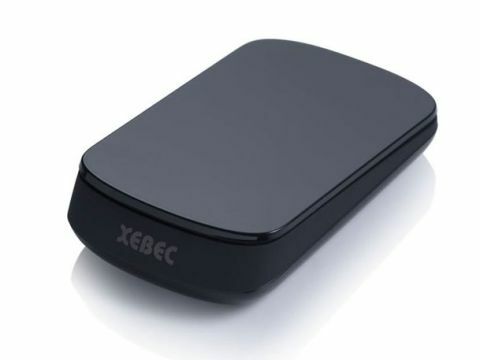 Things aren't made any easier by the fact that the touch-sensitive parts of the Xebec Tech M-touch Mouse don't cover the entire surface, and there's no indication where the touch surface begins and ends. We found ourselves fruitlessly clicking parts of the mouse that weren't responsive. The Xebec Tech M-touch Mouse looks very nice, but is it worth struggling with it when an uglier mouse will do the job much better? The size and shape of the mouse is also quite uncomfortable to use, and while the 1000 DPI sensor makes it perfectly responsive, it really feels like this is a product where aesthetic choices have been made at the expense of function and comfort.